You’ve probably heard of BMI, ASCAP, SESAC, and if you’re in the UK or Canada PRS or SOCAN. You’ve probably had people tell you that you need to get yourself signed up with one of them. Many artists are confused about what it means to register with ASCAP or BMI and the differences between them. What do they even do for you? Well, the truth is, they are very helpful. Each of these organizations is a Performing Rights Organization, and the whole point of their existence is to get you paid. So, yes, you should sign up with one of them. Which one? That’s your decision. 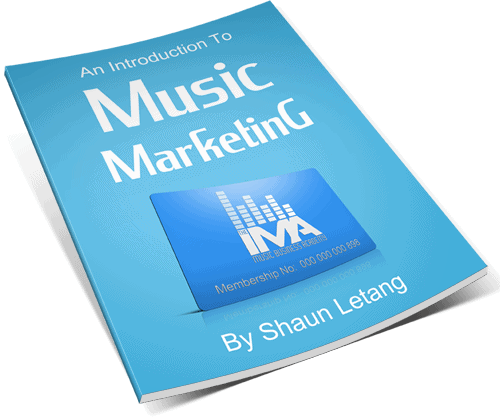 In this guide, I’ll explain what a Performing Rights Organization is, the differences between the different organizations that exist, which one you should join, and the different types of royalties available to you. Let’s get started. What Kind Of Royalties Are Available To You? What Do Performing Rights Organizations Do? Which PRO Is Right For You? There are several different types of royalties that are available to musicians. Some of them are easy to understand and straightforward. Others are a little more complicated. Some are collected by PROs, others are not. Here’s an overview of the different types of royalties. All of these royalties are generated using a specific sound recording. They are not to do with the composition of the song, they are generated by a specific recording. This is the most straightforward royalty to understand. Recording royalties are generated every time your song is downloaded on iTunes (or similar), or streamed on Spotify or Apple Music (or similar). Your distributor will collect royalties directly from the platform and send them to the artist. So, if you’ve used DistroKid or CD Baby to distribute your album, they will collect your money for your and send you checks or direct deposits. Alternatively, your label would collect these for you and send them to you after they’ve taken their cut. These royalties are related to master generated royalties, because they are generated using a specific master recording. Neighboring rights refer to the ability to play your specific sound recording live or otherwise, usually on radio, satellite radio, in clubs or business, and various online media. Neighboring rights royalties are collected by neighboring rights collections societies. If you have a song that is getting wide radio play, then you should register your master recording in every single territory that it’s being played in. Your distributor or label is probably already doing this for you. But if you’re not sure, just ask! YouTube is one of the main ways people consume music today. As such, there is a system in place to make sure that artists get their fair share of revenue from their music being streamed on YouTube. YouTube collects royalties through software called Content ID. Basically, it takes an audio fingerprint of your recording, puts it into their database, and tracks every time somebody uploads a song or streams a song on YouTube. YouTube then puts an advertisement on the video and collects royalties on your behalf. You can collect YouTube royalties by going through a company that collects them like DistroKid or Symphonic Distribution. Most music distributors at least have the option for you to sign up to have them collect your YouTube royalties if they don’t offer it by default. Whereas Master Generated Royalties are created based on a specific recording, publishing generated royalties are created via the playing or interpretation of a song. So, that could be anything from a cover band playing your song to the radio playing a recording of your song. Performance royalties are earned when a song is performed or broadcast in any way. If your song is played on any kind of radio, streamed online, played as background music, broadcast on TV, or played live – either by you or someone else – then you can earn performance royalties. You also collect these royalties when someone covers your song and that cover is broadcast or performed. This is what Performing Rights Organizations collect. They collect performing royalties in all forms. Mechanical royalties are earned when a song is sold on a mechanically reproduced medium such as vinyl or CDs. These days, this also includes digital downloads and streaming. These royalties can be hard to collect. In the past, you had to individually register every song with every mechanical rights organization in every country. It was very tedious. 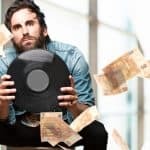 Now, there are services like Rumblefish and CD Baby Pro that allow you collect these royalties worldwide, which is definitely worth doing – you might be missing out on money that you’re owed! Performing Rights Organizations like ASCAP, BMI, SESAC, and SOCAN collect one of the biggest forms of royalties: Performance royalties. These are your royalties as a songwriter or composer. You are owed money any time your song is played in any way. This also means you can collect money from your own live shows. If you are a member of a PRO, you can report a set list for a gig you played, and get compensated for the public performance of your song. You can literally be making an extra $80 – 120 per show. These performing rights organizations have other benefits as well. If you are a member, you may be invited to networking events, you may get discounts, access to insurance and free workshops. PROs also lobby on behalf of songwriters and composers to influence policy in their country. So, to break it down, ASCAP and BMI both do the same thing; they collect performance royalties on your behalf. They send you money. Then they get you discounts on things, invite you to conventions and meetings, etc. It’s clearly worth being a member, but which PRO should you join? 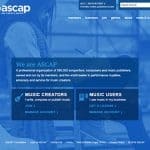 ASCAP, BMI, or SESAC? Let’s find out! With respect to how these PROs collect and distribute your money, there is really no difference between them. 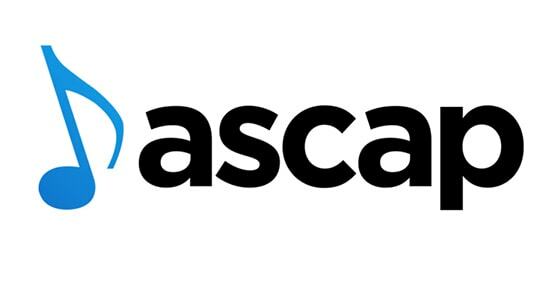 ASCAP does a great job, so does BMI, and so does SESAC. They all have very famous artists signed up with them. There are differences though. Let’s break down the pros and cons of each PRO. 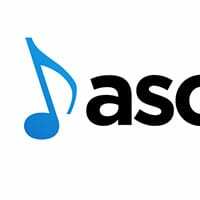 ASCAP (American Society of Composers, Authors and Publishers) is an organization that has over 500,000 members. It’s member-run, and was created by writers and composers in 1914. 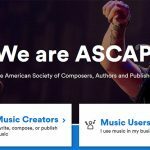 ASCAP costs $50 to join as a writer, and another $50 to join as a publisher. Justin Timberlake, Dave Matthews, Beyoncé, Stevie Wonder, and many more are signed up with ASCAP. These fees are one-time only and are tax-deductable. Other benefits offered by ASCAP include discounts, medical insurance, gear insurance, and workshops. There are several workshops year-round offered by ASCAP. They usually happen in L.A, New York or Nashville. The workshops can be great networking opportunities – you’ll meet other artists as well as publishers, managers, etc. There is also free food usually. 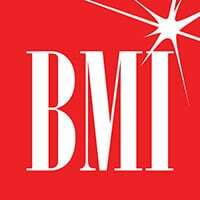 BMI (Broadcast Music, Inc.) was founded by radio executives as a non-profit, and now has over 650,000 members, including Taylor Swift, Eminem, Sam Cooke, and Willie Nelson. It’s the biggest PRO in the world. At its core, BMI does the exact same thing as ASCAP. They collect royalties on your behalf and then distribute them to you. They pay out quarterly and traditionally do a great job. BMI is free to join for songwriters. As a publisher, you would need to pay $150. 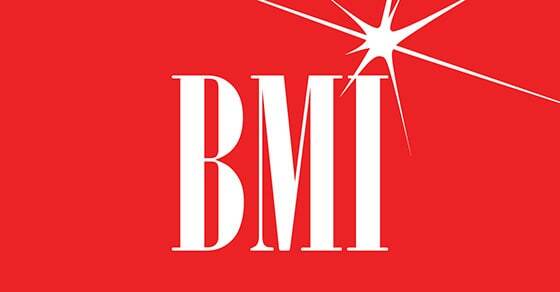 You don’t need a publishing company to collect royalties from BMI. BMI offers similar benefits to ASCAP; discounts on healthcare, insurance, etc. They also put on networking events and they sponsor big conventions. The conventions are huge and popular. They are great places to network. SESAC is a lesser known PRO, mostly because of its small and exclusive membership base. SESAC only has 30,000 members, which pales in comparison to the massive memberships of ASCAP and BMI. SESAC is the only PRO that is not open to anyone. You must receive an invitation to join SESAC. Because of this, their membership numbers are small. They claim on their website to be the “fastest growing and most technologically adept of the nation’s performing rights companies,” which is interesting positioning considering their membership is exclusive. Originally, SESAC was created to represent European writers who didn’t have adequate representation in America. Now, they are a full-service PRO with members like Bob Dylan, Rush, and Neil Diamond. SESAC is interesting, because they collect mechanical royalties as well as publishing royalties. They also pay out monthly rather than quarterly. Interestingly, they have also bought old mechanical rights organizations like the Harry Fox Agency. With the exception of SESAC, signing up with a PRO is quite easy. You’ll just visit their website, fill out the sign-up form, and then you’ll get a membership package in the mail. While this is quite simple, it does take some time. It can take as long as six weeks. Once you fill out the membership package and pay for your membership, you’re a member. Then you can begin registering songs. It is better to use a credit card than a money order or check. Credit cards tend to get processed much faster. This can feel like a tough decision to make, but to be honest, I don’t think it matters. Whatever you choose is going to serve you well. They all do the same thing, and you’ll get paid the same. It’s just a matter of preference. BMI is free to join, so that is very appealing to some. However, if you wanted to register as a publishing company down the road, you would end up paying $150. ASCAP is $50, but even if you ended up paying to be a publishing company as well, it would only be $100. Not bad. Both have regular workshops, but anecdotally speaking, ASCAP has more of them. Take a look at where each PRO has offices. That can be a deciding factor in many people’s minds. Most countries just have one PRO to choose from. For the most part they all do the same thing as both ASCAP and BMI. Here are a few other PROs to be aware of depending on your country. SOCAN is Canada’s only PRO. Most Canadians will be signed up with SOCAN as well as one of its American counterparts. SOCAN offers networking opportunities as well as a free place to stay in many important American cities. It’s free to join and very effective, particularly at claiming live performances. I recently made $1,500 in live performance royalties. So, that was awesome. PRS is UK’s Performing Rights Organization. Much like ASCAP or SOCAN, they pay their members when their work is performed publicly. They offer workshops, networking opportunities, and sponsor showcases and events. PRS also actively fights in the UK court system to make sure that artists are being fairly represented and compensated. They also have a lobbying arm that influences policy on songwriting and copyright across Europe. One important note about PROs: They are only concerned with getting you paid for your publishing royalties. They do not collect mechanical royalties. If you have not signed your mechanical rights away to a publishing company, you should be getting paid a portion of the fee every time a song you had a part in writing is streamed, downloaded, or manufactured. This fee is owed regardless of whether someone else is covering you or you are recording your own song. These fees can add up. For every $100 you earn through Spotify, you’ll earn another $18 in mechanical royalties. The easiest way to get paid for this is through something like CD Baby Pro, who collects mechanical royalties from all over the world. While it’s not absolutely necessary, you should consider copyrighting your music while you are registering your songs with a PRO. I wrote a full guide on copyrighting your music, why you should do it, and how to do it, so have a look if you’re not sure how to get started.